After hearing one woman’s incredible sixth sense story, Dr Oz turned to a new mom to hear another. They say “mother knows best” and that was certainly the case for Lynn. Lynn has had premonitions since the age of five but it was when she was pregnant with her second child that she became concerned. Everything was going great with the pregnancy until the second trimester when she started to get concerned that something would go wrong. 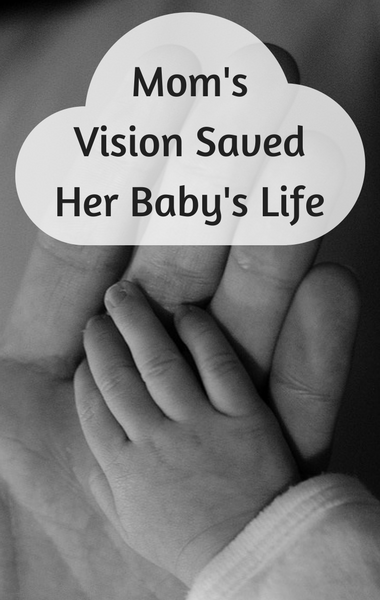 She expressed her concern to her OB/GYN and was assured, repeatedly, that everything was fine. The rest of her pregnancy went well and labor was easy. After just a few hours of labor, a healthy baby girl was born, but a few weeks after the birth Lynn couldn’t seem to shake the feeling that something was wrong.